The ghd air boasts a 'powerful 2,100W professional-strength motor and patented removable air filter deliver high pressure air flow for super-fast drying, while advanced ionic technology reduces frizz and flyaways to give a smooth salon-style finish in half the time' sounds good, right? The ghd air certainly cut down the time it takes to dry my hair and by using exactly the same products as normal I achieved a slicker result. The variable power and temperature controls and choice of nozzles allows you to achieve a variety if looks and the cool shot button helps to lock the finished style and add shine. Another bonus for me is a 3m long power cable that means I can do my hair in front of the mirror and move around as I use it. 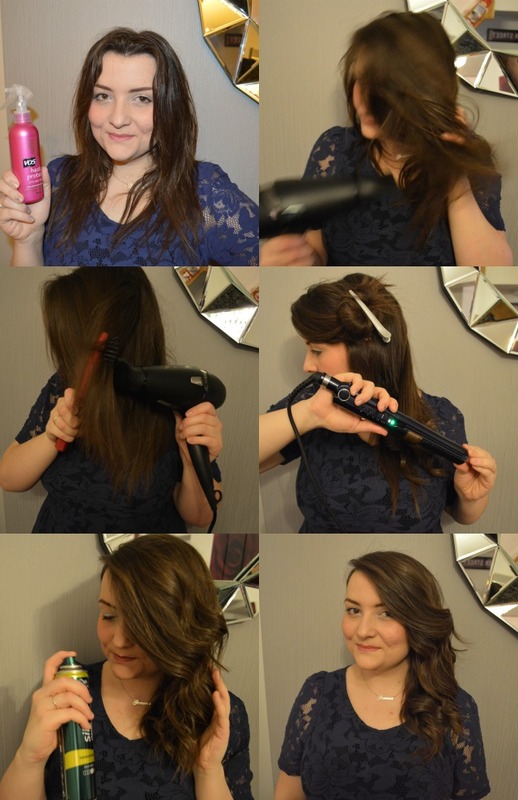 Pin top section of hair up and curl the bottom with either straighteners or a wand styler. If you're using straighteners take a small section of hair and place the straighteners towards the root of your hair. With your other hand, wrap the section of hair once around the iron and slowly drag the iron through your hair. Run your fingers through the curls to break them up for a more natural look and apply plenty of hairspray so the curls don't drop. Love the look of this, your hair looks ace! Beautiful hair style .I am sure the hairdryer is super I have the ghd straighteners its a good make. 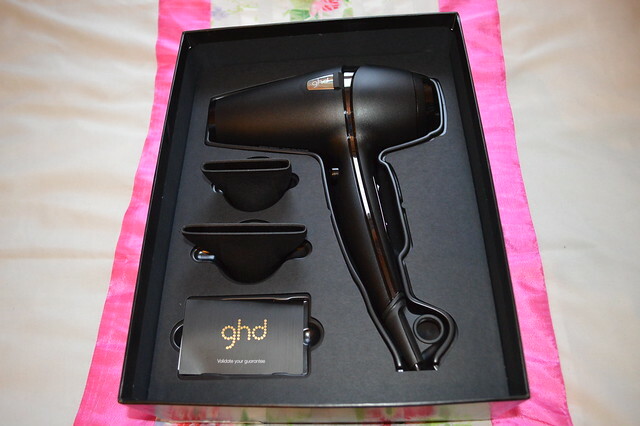 I love GHD straighteners I couldn't live without them! & I am in need of a new hairdryer. Love your hair style! it takes so much less time than my babyliss one! Ohh your hair looks stunning! I think I'll be needing to upgrade my hairdryer very soon so I'll keep this one in mind for sure! I've been eyeing up those hairdryers - my hair gets so frizzy! Your hair looks lush here, I love it all curly!